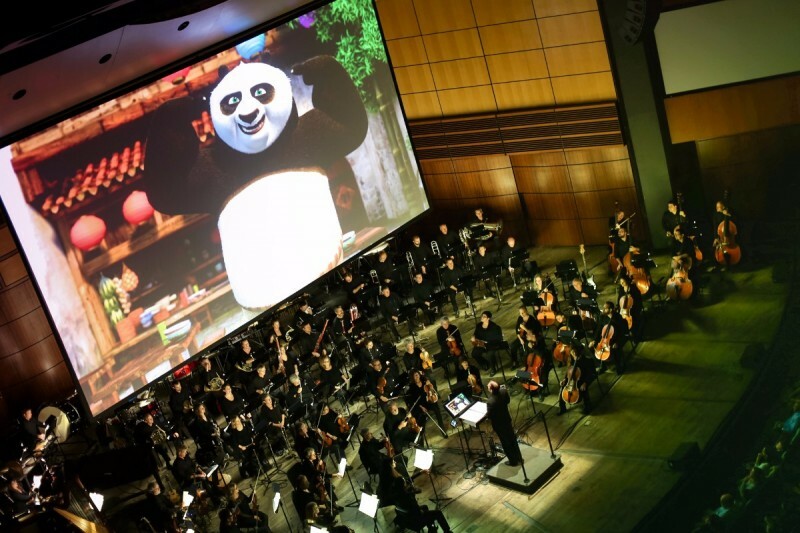 Highlights of some of the best of DreamWorks films plus live music by the Grand Rapids Symphony is cinematic magic plus sonic sensations, all in one show. Shrek, released in 2001, is ranked No. 8 on the American Film Institute’s list of the 10 greatest films in the genre of animation. The film voiced by Mike Meyers, Eddie Murphy and Cameron Diaz, was directed by Andrew Adamson and Vicky Jenson, who is a sister-in-law of Grand Rapids Symphony Music Director Laureate David Lockington. How to Train Your Dragon, released in 2010, garnered an Academy Award nomination for composer John Powell for Best Original Score. Kung Fu Panda, released in 2008 was intended to be a spoof of martial arts movies. But director John Stevenson opted for a blend of comedy and action to make the film an epic. It became the first DreamWorks Animation film to be released in IMAX. Madagascar, released in 2005, as well as its sequels, is filled with nods to Rod Serling’s 1959 TV series, The Twilight Zone. In this movie, a lemur spoofs the cookbook scene from the 1962 episode To Serve Man. DreamWorks Animation, for more than 20 years, has been bringing cinematic magic to the Silver Screen. Grand Rapids Symphony, for 86 years, has been engaging audiences with the sonic sensation of live music. Put them together and you have sonic sensations and cinematic magic. Or sonic magic and cinematic sensations. But it might be easier just to say an entertainment match made in heaven. 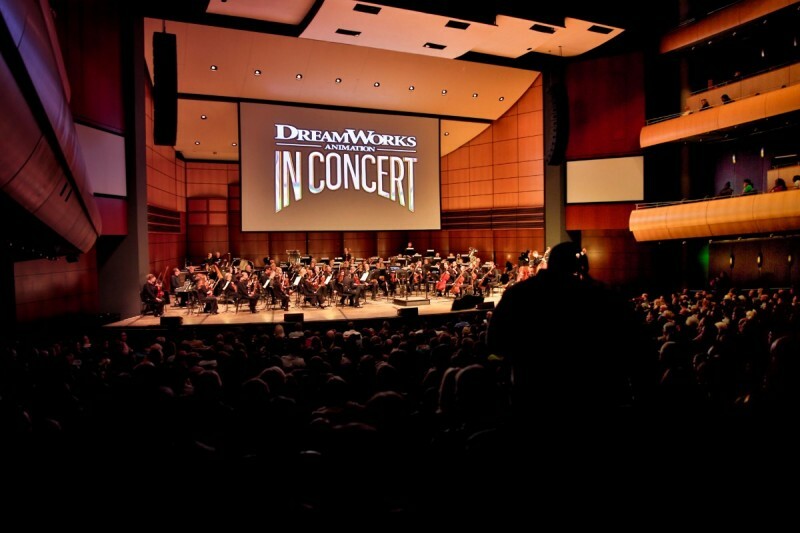 Grand Rapids Pops welcomed DreamWorks Animation in Concert to DeVos Performance Hall on Saturday, Oct. 22, for the opening concert of its 2016-17 Gerber SymphonicBoom season. It was an epic evening of epic entertainment led by guest conductor Justin Freer, leading a supersized Grand Rapids Symphony. The opening medley, an arrangement of music from How to Train Your Dragon, Mr. Peabody and Sherman, Over the Hedge and Sinbad: Legend of the Seven Seas ended five minutes later with whoops and cheers from the audience. And the night was just getting started. 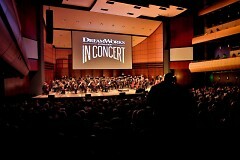 For some, DreamWorks Animation in Concert is an interesting study in animation styles and musical composition techniques. But for most, it was a rollercoaster ride through a dozen films, projected on the big screen above the orchestra. The performance was so solid, there were moments you forgot the music was live. But there also were moments when the sound of the Grand Rapids Symphony was so exciting, you forgot about the film. The intensity of Master Shifu training Po on the bridge in Kung Fu Panda was carefully balanced with the comedic moments as the two battled over a bowl of dumplings. The exhilaration of Mr. Peabody and Sherman escaping the Egyptian temple in Mr. Peabody and Sherman, a challenging sequence of ebb and flow, transcended mere animation. It was an evening for big moments for brass instruments with new fewer than 15 on stage including six horns, four trumpets and four trombones plus one tuba. It wasn’t entirely a wild ride. Deft and delicate woodwinds were a highlight of scenes from Rise of the Guardians featuring the character of Jack Frost. Even without the character of North exclaiming “Shostakovich” before falling down the rabbit hole or “Rimsky-Korsakov! That’s a lot of eggs!” in Bunnymund’s warren, the significance of the symphonic soundscape couldn’t be missed. Highlights from Madagascar practically had the audience dancing in its seats. John Powell’s acclaimed score to How to Train Your Dragon was a highlight of the show. Powell had collaborated on earlier DreamWorks films including Shrek and Kung Fu Panda. How to Train Your Dragon was his first solo venture for DreamWorks, and it resulted in his first nomination for the Oscar for Best Original Score. The multi-layered music pulsed through the auditorium in the epic victory of the hapless Viking, Hiccup, and his dragon, Toothless, over their enemies. Freer, a practiced hand with conducting movie scores, nailed sudden transitions that are a part of all movie scores, but even more so in medleys. Alexander Desplat’s sequence, “Sandman Returns” from Rise of the Guardians, a larger-than-life scene, was played heroically. On the flip side, the scene of animated cats in Puss in Boots, plucking and pounding everyday objects to make musical sounds, had the audience cracking up while listing to the real deal from the Grand Rapids Symphony. That’s as good as it gets.